We understand that sometimes geometry for high schoolers can be a bit tricky, so that's why we've created this page to help provide students and teachers with some geometry practice online. Congruent Triangles In this online geometry activity, students will form two congruent triangles by dragging the proper sides and or angles into position. 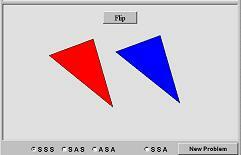 Students can choose to build their triangle by using SSS, SAS, or ASA. This online geometry activity gives students practice working with two parallel lines that have a transversal cutting through them. 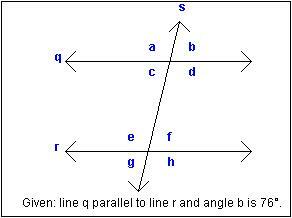 Some of the concepts high school geometry students should be learning about are alternate interior angles, alternate exterior angles, vertical angles, and corresponding angles. This activity will provide some practice. The geometry activities on this page are geared towards students in high school geometry class. If you need geometry activities for middle school or elementary school, please click the geometry games link below.